I used to make bread with my Grandma. I mentioned before that this grandma wasn’t the greatest cook. That truth also applied to her homemade bread. It always had a strange grainy texture and an odd after taste. It was SO good, though! I was with her and she was making it for me. Slathered with butter, it was good enough. This bread is neither grainy and strange, nor does it have an odd after taste. 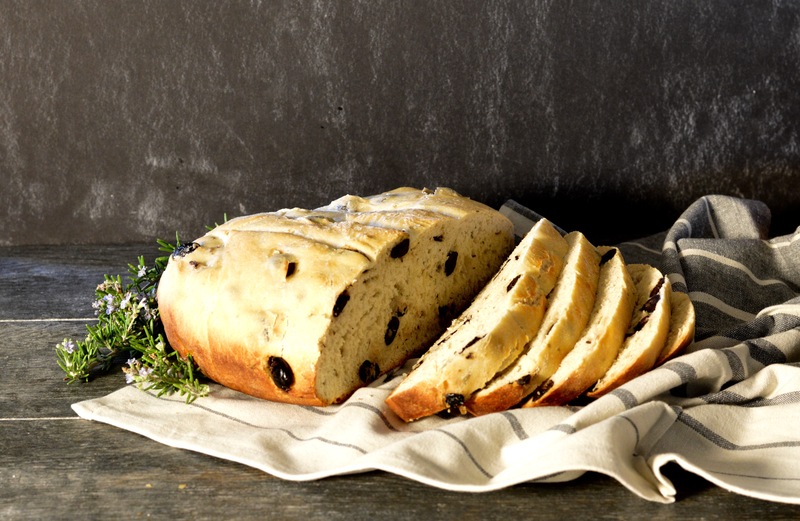 It’s chewy with a nice crust and salty with the flavor of olives. It’s better than the bread I had at Grandma’s house but at the end of my life, I’ll remember how it felt to be with her but I doubt this recipe will even be a blip on my radar. 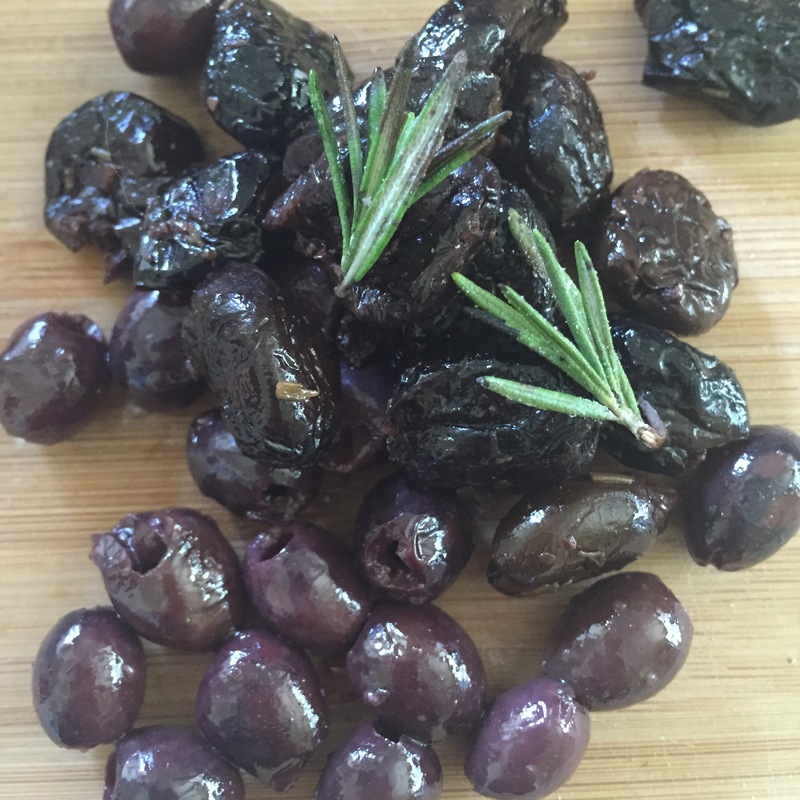 1 cup whole, pitted kalamata olives, or any variety you prefer. I used a small kalamata type as well as a larger black dry cured olive. Sift flour in a large bowl. Add salt and yeast, mix well. Slowly add warm water, mixing as you go. You may not need all of the water, the dough will be sticky. Place in a greased bowl, cover with plastic wrap and allow to rise in the fridge over night. If you want to make this bread faster, you can place the dough in a 175 degree oven to rise for three hours. 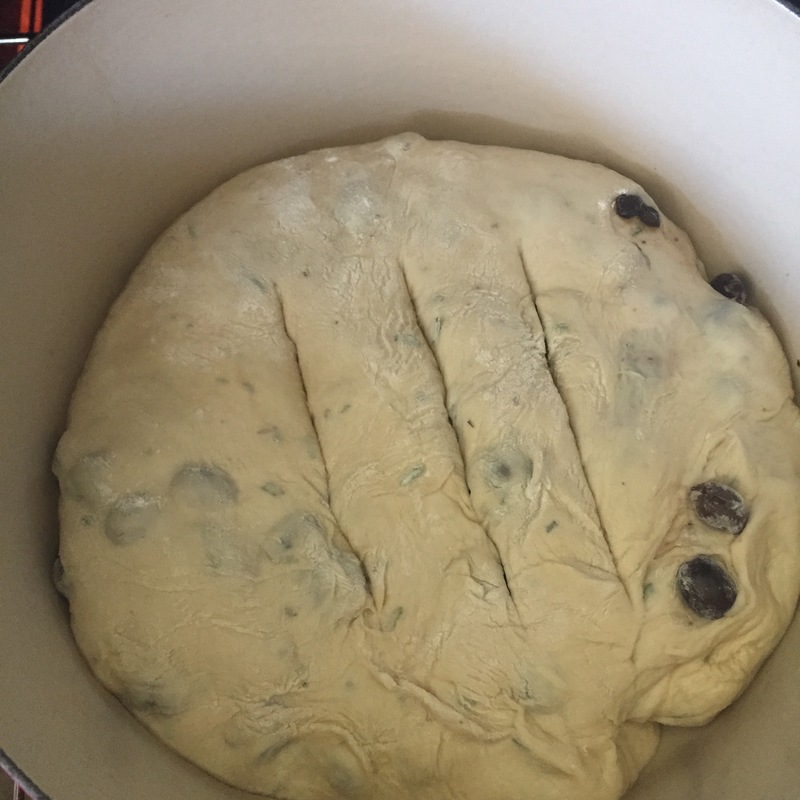 After dough has risen over night, it should have doubled in size. 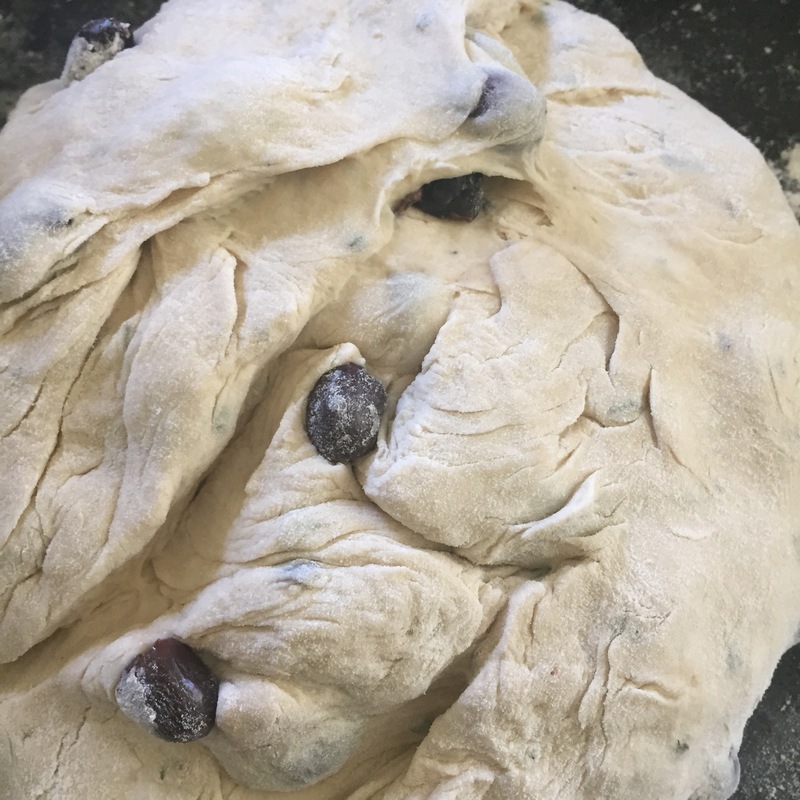 Add the olives and the rosemary to the dough and mix through with your hands. Dust a clean surface with flour, then place the dough on top and form it into a nice round loaf shape. Cover with plastic wrap and leave for 30 minutes while the oven heats up to 350 degrees. Place your Dutch Oven into the oven while it heats up. After 30 minutes, remove the pot from the oven, remove the lid, and place the dough in the center. Sprinkle a heaping Tbsp of sea salt. Place the lid back on and return the pot to the oven. Bake for 30 minutes, then carefully remove the lid and allow to cook for a further 15 minutes. This will brown the top of the loaf. Once done, tapping the top crust should produce a bit of a hollow sound. Serve immediately and enjoy!